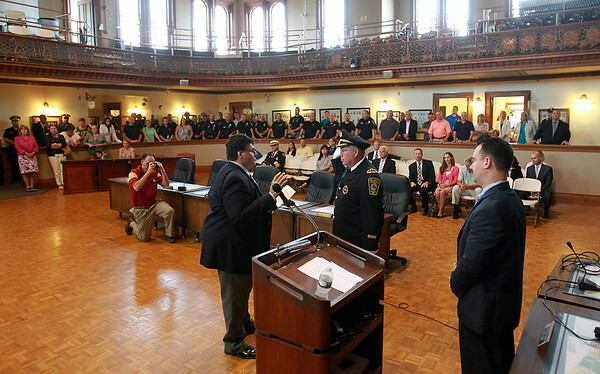 Peabody Chief of Police Tom Griffin, right, raises his right hand while being sworn into office by Peabody City Clerk Tim Spanos, left, in front of a packed house inside the Wiggin Auditorium at City Hall on Thursday afternoon. DAVID LE/Staff photo. 7/24/14.